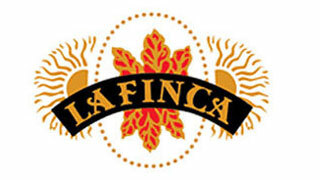 La Finca Cigars are premium handcrafted smokes available in affordable, low-priced bundles. Available since 1972, this brand has delighted cigar smokers who prefer even their everyday smokes to have a touch of luxury. These Nicaraguan Puros have consistently received high ratings for being a quality premium smoke despite their budget friendly price, even earning a high 91 rating from Cigar Aficionado. Handmade in the Esteli region of Nicaragua, La Finca cigars are fully made from rich Nicaraguan tobaccos. The filler blend, binder and wrappers are all comprised of expertly aged tobaccos grown in the rich soils of Nicaragua. These cigars provide a mild to medium-bodied smoke, with a touch of nuts and spice and hints of leather. They are firmly constructed and are designed to provide a steady burn. These premium handcrafted sticks are top-class daily smokes. Their filler and construction give you a rich medium strength smoke, on par with some of the higher-priced hand-made cigars. La Finca Cazadores are among the best-selling blend from La Finca and feature a special Nicaraguan long filler tobacco blend and all-natural wrapper that provides and even burn and well-rounded smoke. You will experience a sweet and nutty undertone pleasantly balanced with a spicy flavor. These are a great everyday cigar. La Finca Ammo Box houses 91 handmade Toro sized sticks in an attractive airtight metal ammo box that doubles as a humidor. These cigars are mild bodied Nicaraguan puros with nutty and earthy undertones. These 6 ½ x 50 sticks are mild enough to smoke as your daily cigar morning or night, and the cost per stick is an excellent value. Grab a box of these undeniably affordable Nicaraguan Puros!